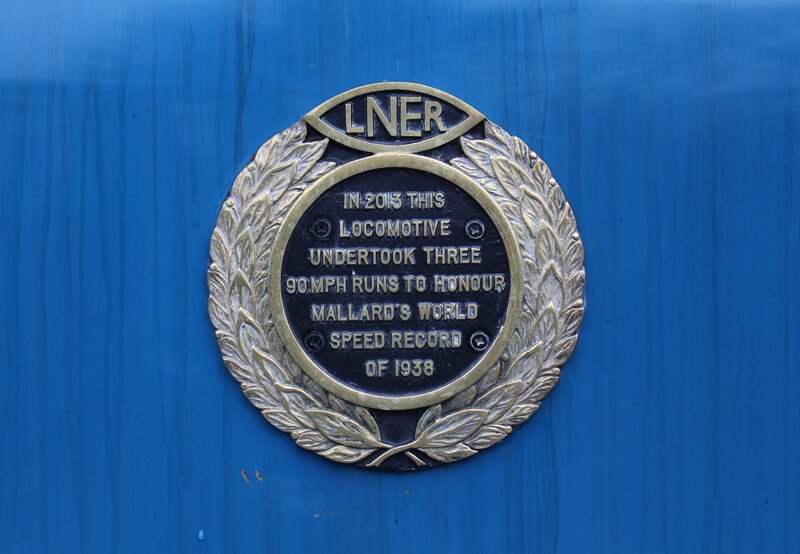 Unlike Stanier’s competing express passenger locomotive class; the LMS Coronation class, the streamlining of Sir Nigel Gresley’s LNER A4 class was more than skin deep. Therefore when wartime and the following nationalisation of the country’s railways brought with them a more austere and pragmatic management approach, the streamlining of the A4’s remained, being intrinsic to the class. The only concession that could be made was the removing of the valences – the metal covers in front of the wheels. The valences, tender type, chimney and livery are the more significant class detail differences between different members of the A4 class. Naturally, altering these on preserved examples provides variation for the steam enthusiast to appreciate. 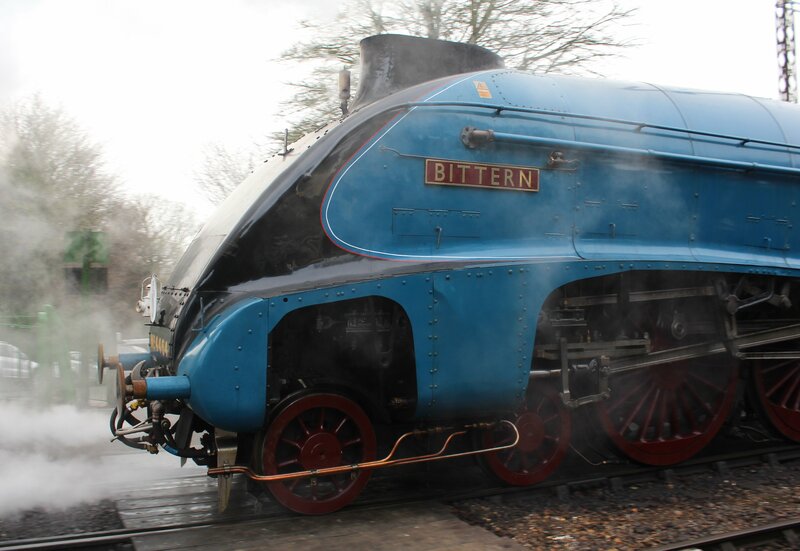 Recently 4464 Bittern has been running in LNER garter blue with valences and it was pleasing to see the locomotive running without valences at the Watercress Line’s Spring Steam gala 2015. Bittern’s owners regularly alter the appearance of the preserved locomotive. Bittern has appeared in Silver Jubilee colours with its identity changed to the scrapped doyen of the class; 2509 Silver Link. The silver-grey livery was only ever worn by the first four members of the class and so the recreation was very special as none of the silver jubilee locomotives were saved. This has not been the only disguise of Bittern, as it also ran as 4492 Dominion of New Zealand. The A4’s named in honour of countries in the British Commonwealth were presented differently to classmates and used stainless steel lettering and a stainless steel strip at the bottom of the valences, allowing for another variation. 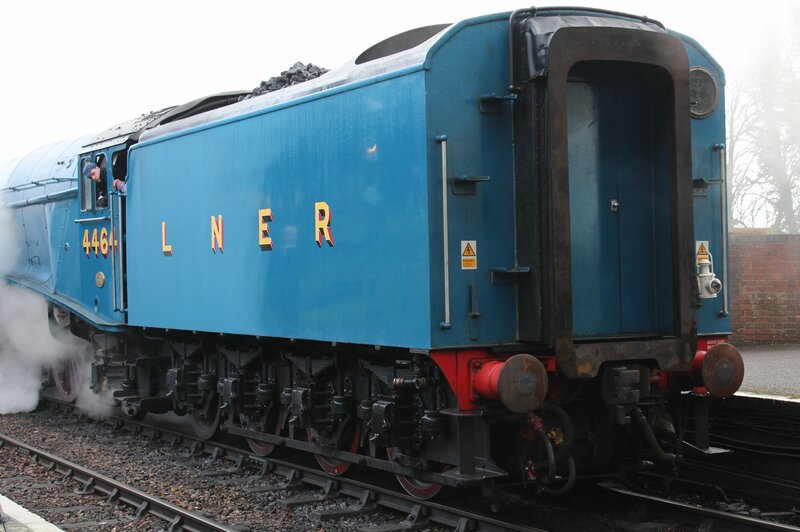 Having also run as itself in BR green and in LNER garter blue, the locomotive has really attracted a lot of interest with its variations. A4 Pacific’s are famous machines. 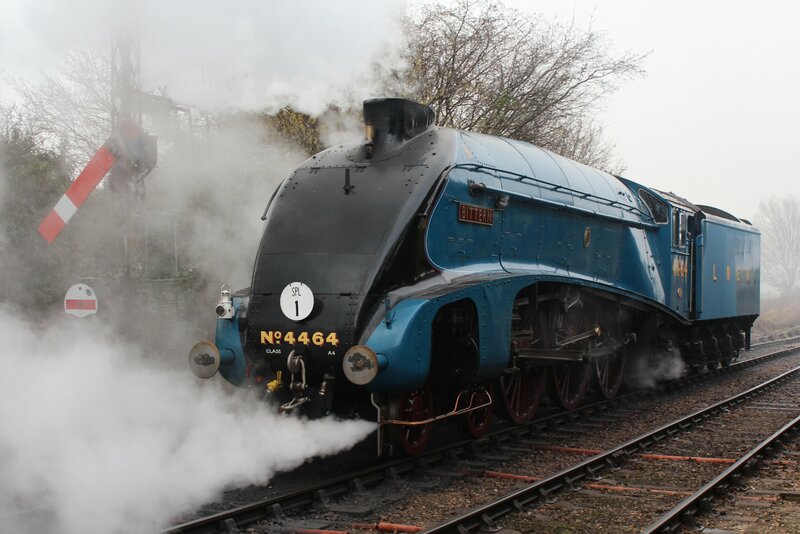 4464/60022 Mallard holds the world steam record and 4498/60007 Sir Nigel holds the post-war record for steam traction. As with 60007, 60009 the Union of South Africa has been on the mainline circuit for many years, making quite a name for itself whilst the ex-pat A4’s that recently visited the UK to celebrate the 75th anniversary of Mallard’s record are well known for having emigrated across the Atlantic. It could be said that 4464 Bittern’s regular transformations have helped make a name for itself, having for so long been away from public eyes. You could argue that it had some catching up to do and quite frankly it has caught up with flying colours! Bittern may be 77 years old, but it is a very sprightly elderly machine! 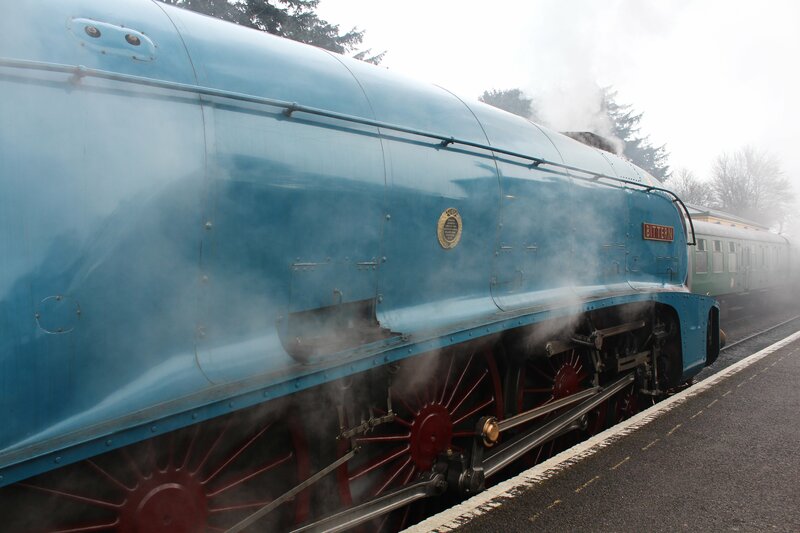 It was great to see it running on the Watercress Line and I hope to see it again over the summer as it is to be based at Ropley before withdrawal for overhaul.